More than 50 world leaders, plus CEOs, investment fund managers and celebrities, have gathered in Paris for a climate change summit on the 2nd anniversary of the Paris climate accord. 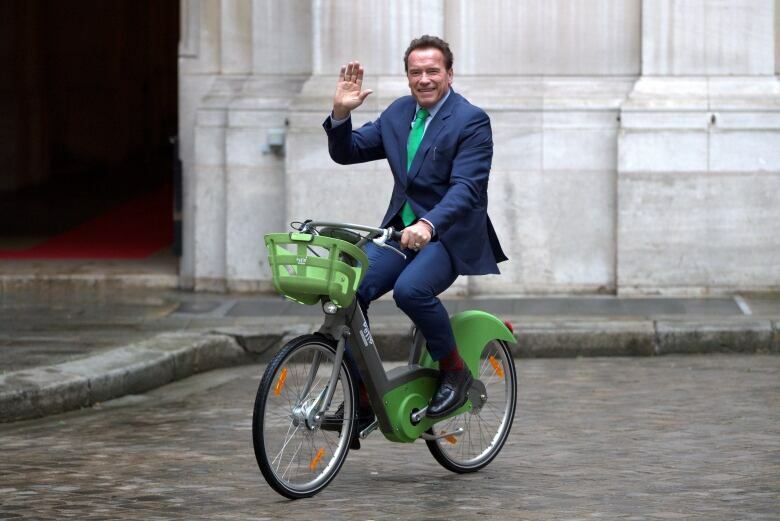 Arnold Schwarzenegger, speaking at a climate change summit in Paris on Tuesday, admonished U.S. President Donald Trump for his refusal to sign on to an international accord ratified by 170 countries. "The United States did not drop out of the Paris agreement. Donald Trump got Donald Trump out of the Paris agreement," said the actor and former California governor. Trump's move was a common theme at the One Planet Summit, convened by French President Emmanuel Macron and attended by more than 50 world leaders, as well as CEOs, celebrities, philanthropists and investment fund managers. Macron said Tuesday "we are losing the battle" against climate change. "We're not moving quick enough. We all need to act," Macron said, seeking to breathe new life into efforts to combat climate change on the second anniversary of the Paris accord. The summit is aimed at finding billions of dollars of financing to help poor countries and industries reduce their greenhouse gas emissions. Officials opened the One Planet Summit by saying investors and the entire global financial system need to shift more quickly toward energy and businesses that don't worsen climate change. 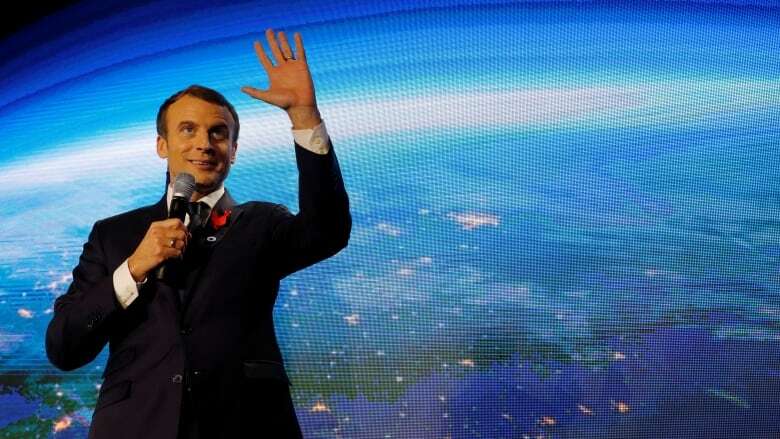 During the summit, Macron's office announced a dozen international projects that will inject hundreds of millions of dollars in efforts to curb climate change and its effects. 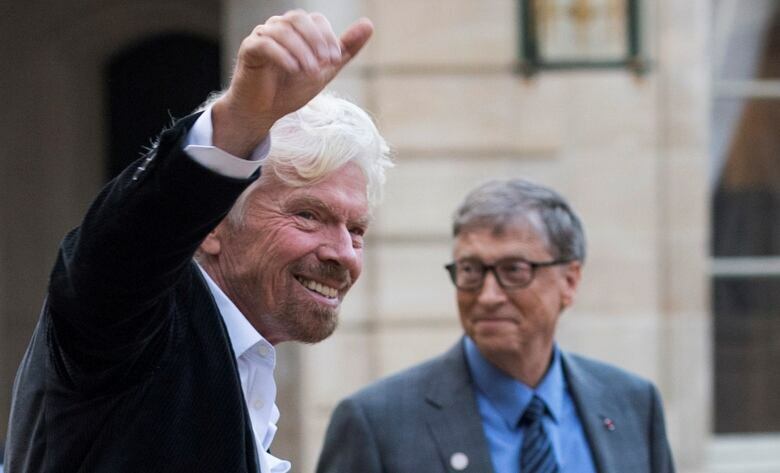 The projects include a program for eight U.S. states to develop electric vehicles, an investment fund for the hurricane-hit Caribbean and money from Bill Gates's foundation to help farmers. Norwegian pension fund Storebrand will launch a new $1.9-billion bond that will exclude investments in fossil fuel companies. Dutch bank ING said that by end 2025 it will stop funding any utility that relies on coal for more than five per cent of its energy. Belgium, following the lead of countries like Poland and France, will issue its first bond for use in financing projects to reduce the country's carbon emissions. The World Bank said it will no longer finance upstream oil and gas projects after 2019, apart from certain gas projects the poorest countries in exceptional circumstances. Environmental groups welcomed the World Bank's move. "The World Bank ... has sent a damning vote of no confidence to the future of the fossil fuel industry," Greenpeace International climate campaigner Gyorgy Dallos said, challenging banks to follow suit. Stephen Kretzmann, of the Oil Change International advocacy group, said it was time for all of the institutions, countries, investors and individuals who are still in the Paris agreement to stop funding fossil fuels. Macron did not invite Trump, but the U.S. was represented at the summit. Former New York City mayor Michael Bloomberg told the gathering that 237 companies — include construction firms, energy companies and financial institutions from 29 countries — have pledged greater transparency on reporting climate-related risks in their businesses. The number of companies in the voluntary program led by Bloomberg has more than doubled since June, he said. Bloomberg said in a tongue-in-cheek statement that environmentalists owe Trump a debt of gratitude for acting as a "rallying cry" for action on climate change. Bloomberg said Trump's decision to withdraw from the agreement, which was decried by many world leaders, has actually spurred thousands to action. Bill Gates, Sean Penn and Elon Musk are among other prominent American figures in attendance. Security for the summit is tight. Around 3,100 security personnel are fanned out around Paris for the event, including extra patrol boats along the Seine River.